With so much speculation surrounding the Chelsea's transfer targets, it may come as a surprise that youthful manager André Villas-Boas became the club's first plunge into the transfer market this summer. The move is all the more surprising given the fact that it was widely expected for Turkey's manager, Guus Hiddink, to take control of Chelsea. 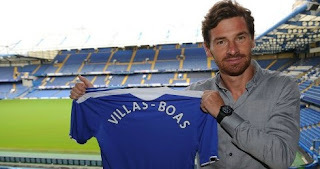 At thirty three, Villas-Boas is the same age as Frank Lampard and Didier Drogba. He has no experience playing professional football and only has two seasons of real managerial experience. Despite this, Villas-Boas has already won the Europa League and secured a domestic treble in his first season in charge of Porto, breaking many records in the process. So, what can Chelsea fans expect to see from the Portuguese manager? The Porto team is constructed in a way not unlike Chelsea. Falcao has been the spearhead of Porto's attack, receiving support from Hulk and Verela from the wings. This front line mirrors that of Chelsea's (more recently), with Torres (or Drogba) in the centre receiving support from Anelka (or Kalou) and Malouda on either flank. There are similarities in midfield, too. The pairing of Moutinho and Guarin in the middle, supported by Fernando playing a deeper role, may be paralleled to the combination of Lampard, Essien and Obi Mikel: it's efficient and brutal. And what of the back line? Săpunaru has emerged as an influential right back for the Portuguese champions in much the same way that Ivanovic has come to prominence at Chelsea. Like Ivanovic, he can play either at right back or in the centre; however, he is less prolific in front of the goal. On the left, Alvaro Pereira may not be as technically gifted as Ashley Cole, but (again) his role is comparable. This all bodes well for Chelsea fans: Villas-Boas understands how Chelsea plays and, more importantly, knows how to win with that style of play. Don't think that this means there is no need to make changes at Stamford Bridge. There are cracks in Chelsea's team that need to be filled; Villas-Boas will be able to fill those cracks with exciting young players who are able to maintain possession and pass the ball around well. However tactically astute Villas-Boas may be, the likelihood of him changing Chelsea's style of play depends on the players they bring in over the summer. Neymar could prove to be the strike partner that Fernando Torres needs. The 19-year-old Brazilian is oozing with flair and has the ability to find his way into gaps no one else can see. Another potential strike partner could be Porto's striker and star-performer Falcao. The Columbian striker is regarded by some circles as one of the best strikers in the world. This season saw the front man score a record 15 goals in a single Europa League campaign, surpassing a record previously set by Jürgen Klinsmann. What Chelsea really need is a hard-working central midfielder capable of getting forward, picking passes and scoring important goals. This is a role that Lampard has played perfectly in recent years, but his age and current form suggest that his best days are behind him. Is there a midfielder on the market who would be able to fill this void for Chelsea? The pressure will be on Villas-Boas to find someone. There has been much talk of Luka Modric or Wesley Sneijder - both could fit this role perfectly - but neither Spurs or Inter seem keen to see them go. Might we see another player lured from Porto? Joao Moutinho would be an ideal candidate. If Chelsea are to challenge for titles, they need to radically change this summer. Under the rule of Scolari, Grant and Ancelotti there were not enough new additions, though one or two were brought in to keep things fresh. Under Villas-Boas, this tradition needs to change, meaning he could make a comparable amount of signings to the players brought in under Mourinho and Claudio Ranieri.